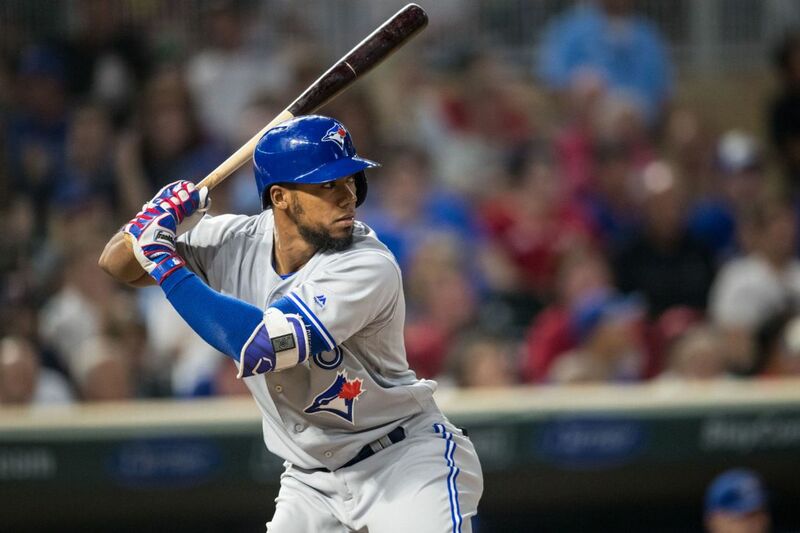 The Blue Jays opened their second road trip of the season against the Minnesota Twins, who came into the game first in the AL central. The Blue Jays got bad news prior to the game as Ryan Borucki was transferred to the 60 day DL, a day after requiring a cortisone shot in his troublesome elbow. Eric Sogard was recalled to replace Lourdes Gurriel Jr., who was demoted after yesterday's case of the yips, but was not in the lineup. The Blue Jays took a big risk tonight with both catchers in the lineup (Maile behind the plate and Jansen as the DH). Matt Shoemaker took a 3-0 record with a sparkling 0.92ERA into today's start. Could the Blue Jays pull out a win? Here is tonight's game recap. Matt Shoemaker battled his way through 6 innings, making the one mistake that cost him three runs and a chance to win. He didn't have his best stuff today, giving up 4 walks. Great comeback win tonight, jumping all over reliever Adalberto Meija for 4 runs on 4 hits, including a three-run bomb by Teo that more than made up for his earlier blunder where he forgot the count and got picked off at first base. Up next, the Blue Jays look for their second straight win of the four game series. Both Aaron Sanchez and Kyle Gibson will be looking to pitch past the 5th inning. Ryan Tepera may return to the Blue Jays bullpen after completing a rehab assignment.